Every illness has an underlying cause; Dr. Adam Graves is trained to find and remove those underlying causes. He does so by working alongside his patients, encouraging them to take an active role in their health. Dr. Graves' passion for natural medicine began to blossom in college, when he began seeking natural treatments for his severe asthma and allergies. He believes in the body's ability to heal itself and utilizes therapies that are safe, natural and effective. 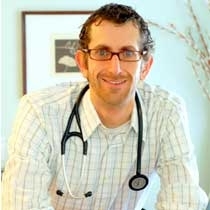 A licensed naturopathic physician and acupuncturist, Dr. Graves received both his doctorate in naturopathic medicine and his master's of science in acupuncture from Bastyr University in Seattle, a highly regarded holistic university. Today, he combines his first-rate education with his diverse background and experience in Eastern and Western medicine to provide his clients with the tools and wisdom to attain true integrative health. Patients suffering from acute or chronic health issues who want restorative, preventative and natural medicine are attracted to Dr. Graves' proven methods. As such, he has developed a number of long-term patients seeking to improve their overall well-being.